If you have a big wedding day coming up, why not give them a traditional Irish wedding card which is fully designed produced in Ireland. Our designers at Garlanna keep up to date with the latest trends and wedding themes. Our greeting cards feature a variety of greetings and design styles. 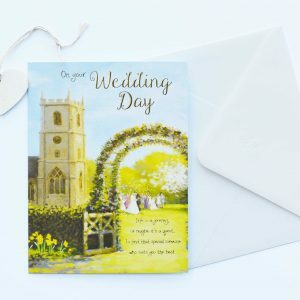 Whether you are looking for something timeless and classic, modern or trendy, our range of wedding cards has just the thing to suit everyone.